Cheryl Pagurek's lens-based practice is characterized by the breadth of its experimentation and pursuit of diverse approaches to photography and video. The impetus for the work stems from recordings of everyday occurrences that, through a layered process, emerge as hybrid forms, both moving and still. Although based on keen observation of reality, these works disrupt our usual expectations of photography and video and their traditional claim to verisimilitude, highlighting instead their constructed nature. Relationships of presence/absence are already intrinsic to photography and video in the framing of the subject (what is included and what is left out) and in their indexical nature (the subject was previously, but is no longer, present in front of the lens). In recent work, these ideas are further emphasized by the selective removal of visual information, and the unexpected addition of other imagery, both strategies to express our individual and collective experience of transformation over time. She often interweaves source materials from many contexts to create a dynamic and cohesive whole, while accentuating the abstract qualities of colour, form, movement and tempo. The works are the site of both interconnections and tensions between public/private, past/present, creation/destruction, representation/abstraction, reality/constructedness, urban/natural spaces. She has used many approaches to bring together these polarities. 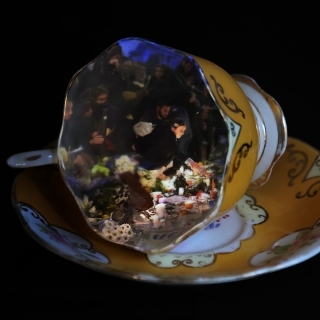 These have included physically shaping photographs into objects, removing cut-out shapes from photographs, digitally constructing photo-based images, and digitally layering video. She explores diverse ways to show video, including the use of multiple channels; custom-shaped formatting; rear projections; public outdoor locations; and gallery presentations, such as a floor projection or interactive installation, that make viewers’ spatial experience central to the work. In early works, home and family life were central themes, situated within a broader framework of social, historical, commercial and political contexts. Subsequent works record her observations of natural phenomena in photography and video, often combining them with found imagery and footage, such as old family snapshots and movies, archival films and photographs, and contemporary military tracking footage. Several series investigate the interrelated concepts of time, memory and history. The ephemeral quality of many of her works in video evokes the ‘present-ness’ of the disappearing past. More recent works in photography and video dwell in the transitional, liminal spaces between natural and built environments, between abstraction and representation, and between lens-based media and drawing/painting. The State of Flux photographs, River Suite photo-work and Wave Patterns video (2012) employ water imagery to investigate the intersections between these dualities. As in her previous projects that present the passage of time as being embodied in the flow of water, water imagery encapsulates the idea of continual change. The Bodies of Water suite of works (2013-2014) gives new form to these concerns by marrying the human body with urban reflections in water. The suite includes a video installation, a series of photo-drawings and printed video stills. Her current works probe our relationships to the world around us in a digitally networked, global society. Photographs, videos, and an interactive installation offer alternatives to our habitual perspectives on events both near and far, encouraging a sense of engagement. 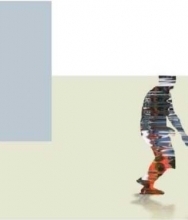 In Connect, an interactive video and audio installation, participants discover local and global streaming video imagery and sound through the moving shapes of their own bodies. 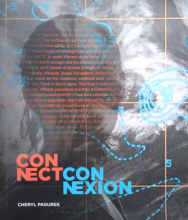 Connect contrasts the agency, embodiment, and immediacy felt within the interactive installation, with the mediation that pervades much of our digital connections in everyday life, where the content we consume and create is framed and formatted by the medium of its transmission. 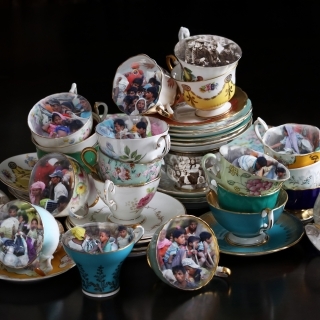 The Tea Cups series consists of videos and photo-based digital prints made by projecting contemporary news imagery into vintage tea cups, and recording the results. 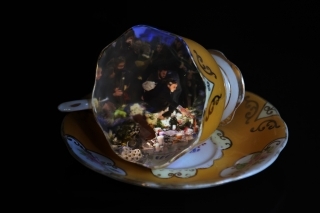 Cheryl Pagurek is a photo-based and video artist living in Ottawa, Canada. She received an M.F.A. from the University of Victoria. Her work has been shown extensively across Canada from Victoria to St. John’s. Exhibitions and screenings of note include those in Ottawa, Toronto, Kingston, Montréal, Chicago, Toulouse, Rio de Janeiro and Los Angeles. 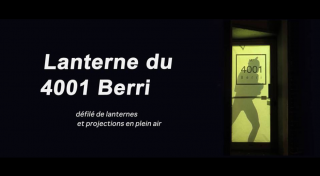 Her video and light box installation Reflection and Flow was shown in 2009 in Montréal as part of Le Mois de la Photo, and in 2010 at Mount Saint Vincent University Art Gallery in Halifax. 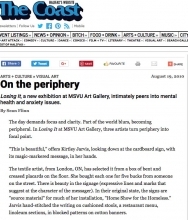 In 2010 she also exhibited the video Growing Pains and photographic series High Value Targets at Patrick Mikhail Gallery in Ottawa. She was awarded a public art commission by the City of Ottawa Public Art Program to create Currents, her LED video display for the Market Place Transit Station that was installed in May 2011. She launched several new works in photography and video at Patrick Mikhail Gallery in 2013 in a solo exhibit entitled State of Flux. 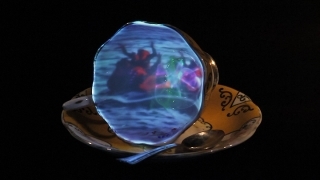 In 2014, her video Bodies of Water appeared in public art events in two cities, Nuit Blanche Ottawa Gatineau, and Kamloops Art Gallery’s week long Luminocity program. In 2015, Bodies of Water was screened in Montreal by Groupe Intervention Vidéo, and in Toulouse as part of Rencontres Traverse Vidéo, projected onto the outside of a downtown building. Her work is in several collections including Foreign Affairs Canada (three works in Canada House, London), the Canada Council Art Bank, the Library of the National Gallery of Canada, Cenovus Energy Inc., the Ottawa Art Gallery and the City of Ottawa. She produced a commissioned project for Prefix Photo magazine, and her work has been written about in Canadian, American and British publications, including Ciel Variable, BlackFlash, Vie des Arts, Canadian Art online, Next Level (UK), and Afterimage: The Journal of Media Arts and Cultural Criticism. 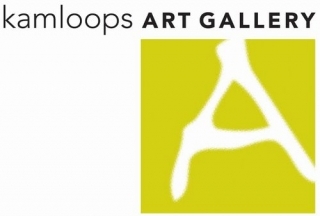 She has received grants from the City of Ottawa, the Ontario Arts Council and the Canada Council for the Arts, and is represented by Patrick Mikhail Gallery Ottawa/Montreal. Her recent suite of work, Bodies of Water, includes a video, a series of photo-drawings, and several printed video stills. 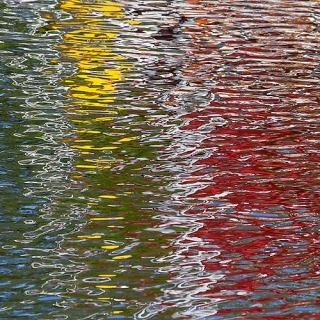 They combine the fluidity of gestural life drawing with urban reflections in water. The video intertwines narratives of human journeys with those of travelling waters in a vivid expression of colour, energy, and movement. Hand-drawn animated silhouettes were created frame-by-frame to mask the water videos so that the water appears in the shapes of moving people of all ages. The five printed video stills capture essential qualities of the video: the tension between abstraction and representation; the coexistence of natural forms and urban space; the dynamic combinations of colour and motion; the changing relationships between positive and negative space; and the portrayal of an ongoing flow of humanity, a testament to both constant change and continued endurance. 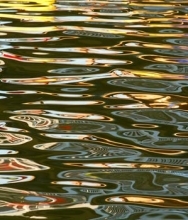 Each photo-drawing presents a black and white photograph of reflections in water, seen only within the lines of a drawing; one medium is thereby revealed through another. By removing the element of colour, the focus is on mark-making that echoes the movement of the water and the energy of the body. A wide range of emotion is conveyed in the video by the fluctuating character of the water and by the gestures of the figures. Through their posture and manner of movement, the individuals express confidence and frailty, joy and loneliness, nonchalance and playfulness, exuberance and hesitancy. The set of six drawings further explores the human condition by re-interpreting characters from the video in new drawings that reflect a full spectrum of age and attitude. A toddler joyfully runs ahead of his father, a young girl adds a skip to her step, a man casually pauses to use his phone, a woman strides confidently, an elderly couple carefully help each other along. By marrying swirls of water with human movement, the Bodies of Water photo-drawings and video stills embrace the flux of our experience, as we navigate the flow of time. Drawing on the evocative potential of water, each image in the State of Flux photographic series embraces the vitality of one particular instant. These unusual images reveal a paradoxical relationship to the “real”. Although each photograph captures a specific place and time that occurred in front of the camera, the resulting images transcend the familiar details and conventions of land- or water-scape to create newly abstracted worlds. While the medium of photography allows the distillation of gestures and forms that are otherwise blurred and imperceptible to the naked eye, these hyper-real photographs nonetheless have strong references to modernist painting in their abstraction and engagement with surface. The unidentified reflections remain ambiguous and enigmatic, as texture, colour and movement evoke an intuitive response. In our accelerated world of perpetual change and quick perceptions, each work offers a moment to savour, plucked from the water’s constant state of flux for our prolonged contemplation. 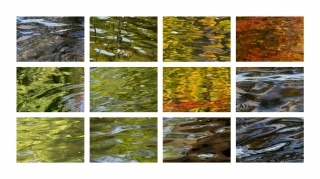 In River Suite twelve close-up photographs that capture the changing light effects in rippling waves are arranged in a matrix as a unified group; yet, we are always aware that the whole is made up of its constituent, diverse parts. In its conceptual approach and compositional process, the work explores the tensions and continuities between several dualities. Although informed by the idea that landscape, in its framing of our natural environment, is a cultural construct that developed with and in contrast to urbanization, River Suite nonetheless undermines traditional conventions of the genre. Instead of presenting a single view at a fixed moment from a detached, distant perspective, it creates a composite of multiple viewpoints that reveal the power and beauty of the water, constantly evolving over time. With no visible horizon or long view, the viewer is immersed in the water’s expanse. While documenting the particularities of location, the imagery nears abstraction in its celebration of colour, light and form. 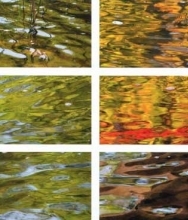 The use of the grid, a structure of the built environment, imposes order onto the freely moving water, arranging the natural imagery into a composition. In a related video, Wave Patterns, twelve video channels are arranged in a matrix of three channels high by four wide. 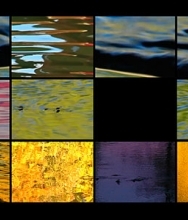 Shot at several Canadian locations, each channel captures flowing water and its shifting reflections, colours, moods and movements. Together they form an ever-changing tapestry as each video evolves itself and in concert with the others, beginning with a single channel and culminating in the full grid of twelve. Channels fade in and out individually and in groups as the rectangular grid pattern fluidly builds up, breaks down, and builds itself up again. Abstraction emerges in the colour and forms of the water imagery, as well as in the visual patterns created by the play of oscillating and fluctuating rectangles of video. By contrasting the free-flowing water with its containment within the ordered structure of the grid, the work explores the intersections between the natural world and the human impulse to build and make order. The audio track contributes to the work’s constructive process by building an unexpected soundscape of construction sounds; the noises of different tools are associated with the appearance of particular video channels according to the rhythm of the editing. 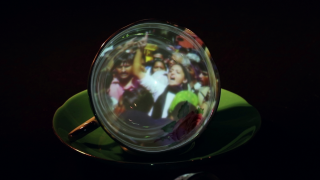 In the relationships of its many parts to the whole, the video projection creates a dynamic choreography of change over time, simultaneously exploring both fragmentation and unity. Growing Pains is a two-channel video exploration of simultaneous micro and macro perspectives combining the opposite extremes of intimate recordings of a season of gardening, with contemporary military tracking footage. Cultivating a garden is portrayed as an act of optimism and hope, an attempt to balance chaos and order on a small, domestic scale. Set against this endeavor in the private realm, the aerial and night vision footage of “engagement” with military targets infiltrates our consciousness with a pervasive sense of dread and threat of large scale public destruction. An additional layer of dialogue suggests a negotiation between private and public worlds, as we hear a family navigating the children’s increased independence, their ventures away from the safety of home and their increasing exploration of the world at large on their own. The lushly coloured gardening footage is immersive and sensual. In comparison, the monochromatic wide-angle military footage marked with viewfinder target crosshairs feels like a symbolic assault. Recorded through a mediating veil of technology and navigational data, the military footage epitomizes the relationships of knowledge and power implicit in the act of photography and points to the intertwining of photography and war. This multiplicity of perspectives is presented in two separate but side-by-side video channels, thereby accentuating the tensions within the dualities of public/private, microcosm/macrocosm, creation/destruction, hope/fear, and participant/observer. Yet, despite these contrasts, a shared concern for control and surveillance plays out across all the layers of the work, from the military to the garden to the familial. Further relationships between the two channels are conveyed by transposing conventions of the military footage onto the garden imagery. 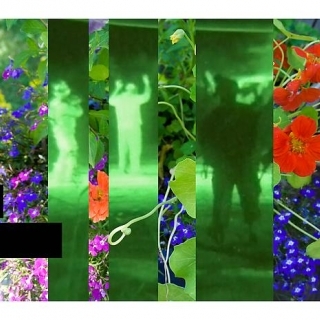 Targets, navigational data, night vision, and censor markings are overlaid onto the garden footage as distancing mechanisms, implying the act of surveillance. Corresponding camera movements and angles often occur in both channels – a searching aerial zoom or pan in a military clip is matched with an equivalent camera movement in the garden. Exploring ideas of security and vulnerability, the work opens up a space to contemplate the myriad ways in which we as individuals might feel under siege in today’s world. The High Value Targets photographic series further explores the tensions and concerns of the Growing Pains video. Employing a diptych format that abuts grainy military video stills with high resolution photographs from the garden, the prints locate a private world of beauty within a larger world of conflict. Similar strategies used in the video to both contrast and connect the opposing sources of imagery are again engaged in the prints, including the use of both low and high camera angles, as well as the overlaying of military navigational data, viewfinder target markings, and black censor bars onto the garden, indicating surveillance. Each diptych is subtitled with a short statement or command from the military personnel in the video. Flow, a multi-layered video, is projected down from the ceiling onto a white screen on the floor so that viewers’ spatial experience is integral to the work. We circulate around the piece, viewing it from all sides as one would walk around the edges of a large puddle of water, looking into its depths. Upside-down neighbourhood reflections were shot with the camera sometimes oriented upright and sometimes on its side. 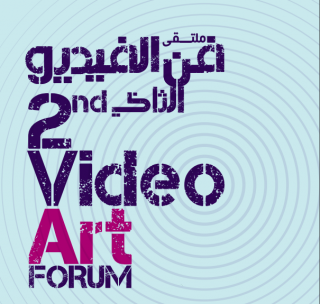 The resulting footage dislocates the familiar, with colours, shapes and movement taking on a visual role independent from the content portrayed. 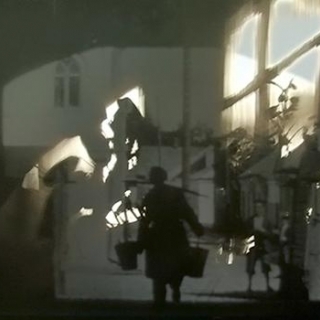 This footage was digitally merged with fifty-year-old colour home movies, often rotated upside-down or sideways, like the snapshots in the Reflection images. 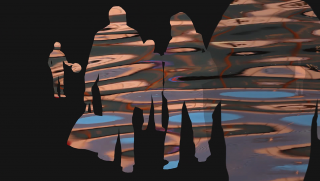 The resulting video work is a continually changing kaleidoscope of time and place, abstraction and representation, reality and memory. The soundscape is layered, sometimes evoking what is occurring visually, sometimes interweaving an additional narrative that is heard but not seen: the voice of a doctor dictates a report that describes the state of dementia and disorientation of a very elderly man, suggesting possible connections between the patient and the imagery of the old movies. The video is 4 minutes long, and loops continuously. 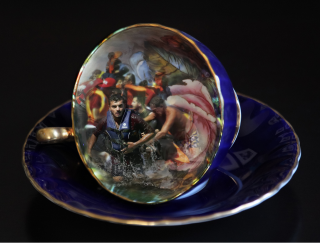 The eight images in the Reflection series layer simultaneous narratives of different times and places. Attracted to the “world within a world” quality of reflections in pooled water, Pagurek photographed reflected houses, trees and streets, appearing upside-down as they emerge from the flat plane of snow or pavement surrounding the puddle. The upside-down reflections of the neighborhood transform a familiar reality with a sense of dislocation. To echo this feeling of disorientation, and to further accentuate the passage of time captured through the changing seasons in the images, Pagurek digitally inserted into each image one or more snapshots from several decades ago, also placed upside-down. This last gesture nudges the work further into abstraction as colours and textures function apart from the reality they represent. The old photographs are not seen in their entirety but, like fragments of memory, are glimpsed through the contemporary street images. The photographs of the water are focused on the depths of the reflections, while the shallow depth of field blurs the peripheral foreground, blending it into the soft grain of the old snapshots. Several sets of dualities intermingle in the work: The play between surface and depth in the images evokes a contemplative sense of looking into a different time and space, the present and past coexisting. The images oscillate between representation and painterly abstraction, while the intimate, private context of the family snapshot merges with the more public realm of landscape and street photography. Further, there is a dynamic tension between the photograph’s traditional role as documentation of the ‘real’ and the constructed nature of these images. In counterpoint to the minute-by-minute frantic pace of contemporary life, the work proposes a space of introspection and reflection on our individual place within a temporal and spatial continuum. Building on the concerns of the photo-based Light series and the video Friday Morning, Passage evokes several layers of time and place through video imagery and sound. Separate yet connected narratives unfold: Present-day footage follows richly coloured light and shadow patterns appearing inside and outside the artist's house throughout the course of the day, from the cool blue-purples of morning light to the warm oranges of early evening. Meanwhile, black and white archival footage provides fleeting glimpses of Jewish life during the early part of the last century - everyday life in pre-World War 2 Eastern Europe, and the immigration of some to ghettoized urban life in North America. Amongst these fragments of an earlier era we recognize women at market, hands sewing, immigrants disembarking from a ship, street scenes. At the same time, the accompanying soundscape situates us simultaneously in the past and present, in domestic and public spaces. The rhythm of her family’s daily activities and interactions unfolds through sound, while the passage of time through the day is tracked from the song of birds at dawn to the late night chirping of crickets. A past era is made more immediate through the sounds of horse-drawn wagons, marching troops, spoken Yiddish and traditional melodies. The fleeting immateriality of the video finds material embodiment in the nine sequential stills printed from Passage, each an intersection of coexistent narratives. Three duratrans transparencies in light boxes from the Light series explore our varied perceptions of time by digitally interweaving photographs of light and shadow patterns observed around a house through the day, with old black and white photographs from an earlier generation. These works contrast our daily, even hourly awareness of time elapsing, with a sense of the passing of eras. Two suspended moments, separated by many decades, are brought together. Different sections of the layered images are brought into view or hidden by varying degrees of transparency and opacity. The first piece in the series consists of LightJet prints on photographic paper, while the next three are exhibited as duratrans transparencies in light boxes. A natural progression for these investigations was to introduce the elements of durational time, motion, and the additional sensory experience of sound, by moving into the realm of video. When creating the still photos for the Light series, the artist was intrigued by the abstracted quality of the subtly flickering movements of shadow patterns created by light passing through foliage ruffled by the wind. She began to shoot digital video footage of moving patterns of light and shadow as they appeared on house floors and walls as well as outdoors on pavement and roadways. This type of pattern of moving light and shadow was the basis for Friday Morning and Passage, new works in digitally manipulated video. 2014 Simpson, Peter. 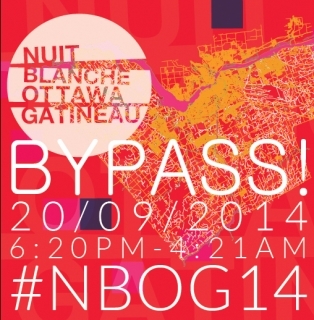 "Nuit Blanche: 10 Picks for Ottawa's long night of art", The Ottawa Citizen, (Sept. 17, 2014). 2013 Williams, Christian. 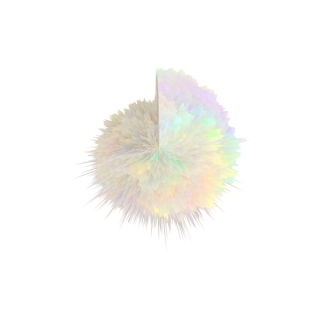 Cheryl Pagurek: Capturing the State of Flux. Utne Reader Blogs: Abstract Notions, Dec. 6, 2013. 2013 Davidge, Michael. 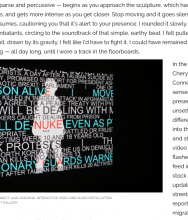 State of Flux: Cheryl Pagurek. Blackfish, Vol. 30, Issue 3 (Sept-Dec. 2013). 2013 Wright, Andrew. 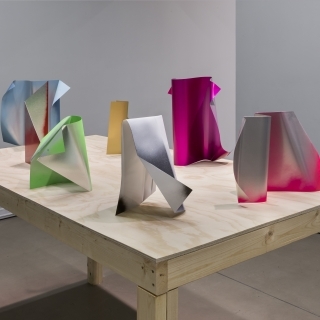 "Cheryl Pagurek at Patrick Mikhail Gallery." Akimblog on Akimbo.ca, January 29, 2013. 2013 Simpson, Peter. 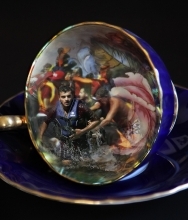 "Pagurek's photographs dance on water." The Ottawa Citizen, (Jan. 5, 2013). 2013 Modder, Sabine. "State of Flux by Cheryl Pagurek. Moco Art, Jan. 14, 2013. 2013 Caplan, Mitchell. Radio interview with Click here, CHUO-FM89, Jan. 16, 2013. 2011 “Ottawa goes high-tech in how it displays public art”. CTV Ottawa News at 6, (May 25, 2011). 2011 Ed. “Video art entertains Barrhaven commuters.” The Ottawa Citizen, (May 30, 2011). 2011 “Place and Circumstance: Additions to the City of Ottawa’s Collection.” Ottawa: City Hall Art Gallery (2011). 2010 Willems, Steph. “Winner named for Marketplace art contest.” Nepean/Barrhaven EMC [Ottawa], (Sept. 16, 2010). 2010 Simpson, Peter. “Work by Pagurek chosen for Transitway station.” The Ottawa Citizen, (Sept. 3, 2010). 2010 Simpson, Peter. “The Big Beat: Cheryl Pagurek wins $90,000 city competition for Transitway extension.” The Ottawa Citizen online, Sept. 2, 2010. 2010 Flinn, Sean. “On the periphery.” The Coast, [Halifax], (August 19, 2010). 2010 Ed., Canadian Art online: See it: “Losing It: Mental Notes”. August 12, 2010. 2010 Simpson, Peter. “Unique proposals, uniform passion.” The Ottawa Citizen, (August 10, 2010). 2010 Parker, Judith. Review of High Value Targets exhibit in Afterimage: The Journal of Media Arts and Cultural Criticism, issue 37.6, (May/June 2010). 2010 Caplan, Mitchell. Radio interview on Click here, CHUO-FM89, January 20, 2010. 2009 Wombell, Paul. A Theatre of Images: Le Mois de la Photo à Montréal. Next Level (UK), edition 18. 2009 Bouchard, Marie Ginette. Déjouer l’image. Vie des Arts, issue no.216, (Autumn 2009). 2008 Halkes, Petra. Cheryl Pagurek: Ephemera. Ciel Variable, issue no. 79, (Summer 2008). 2007 Higginson-Murray, Connie. “Portraits of space inspire reflection.” The Ottawa Citizen, [Ottawa], (Jan. 18, 2007). 2007 Regenstreif, Michael. “Artist explores Jewish immigrant experience in poignant exhibition.” Ottawa Jewish Bulletin, [Ottawa], (Dec. 3, 2007). 2005 Gessell, Paul. “Critics’ Picks: Fine Arts.” The Ottawa Citizen, [Ottawa], (June 4, 2005). 2005 Modder, Sabine, ed. “Double Takes.” Art MoCo, June 3, 2005 http://mocoloco.com/art. 2005 Racette, Bohdanna. “Domestic Space Invaders: Pagurek’s politics of space get personal.” Guerilla, Issue 5, June 2005. http://www.getguerilla.ca. 2005 Simpson, Peter, ed. “Images of Ottawa: Five photographers vie for the Karsh Prize.” The Ottawa Citizen, [Ottawa], (July 11, 2005). 2003 McElroy, Gil. “Review of ‘Family Matters’.” ART PAPERS Magazine, Vol. 27, No.5 (Sept./Oct. 2003). 2002 Cantin, David. “Rôles et fictions.” Le Devoir, [Montreal], Vol. XCIII, No. 15 (January 26, 2002). 2002 Quine, Dany. “Expositions.” Le Soleil, [Québec City], (February 2, 2002). 1999 Marple, Chari. “I read the news today, oh boy.” XPRESS, [Ottawa], (Feb. 11, 1999). 1999 Lerner, Dr. Loren, et al. 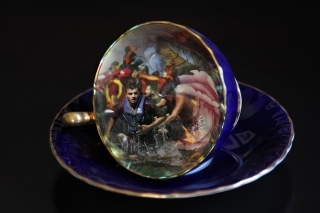 “Canadian artists of eastern European origin”: http://art-history.concordia.ca/eea. 1998 Marple, Chari. “Catch all the nudes and news at Gallery 101.” XPRESS, [Ottawa], (Oct. 15, 1998). 1998 Moir, Simone, ed. “MIXlist.” MIX independent art & culture, Vol. 24, No. 2 (Fall 1998). 1996 Gordaneer, Alisa. “Sitting Uneasily: There’s a war in your living-room.” Monday Magazine, [Victoria], Vol. 22, No.2 (January 4-10, 1996). 1995 Jones, Donna. “Upcoming Show: Cheryl Pagurek: ‘Send in the Clowns: Acts 1- 4’.” PHOTOphile, Newsletter of the Floating Gallery, Centre for Photography in Winnipeg, (January, 1995). CITY OF OTTAWA PURCHASES WORKS BY ADRIAN GÖLLNER, ANDREW MORROW, CHERYL PAGUREK, AND CINDY STELMACKOWICH FOUR PMG ARTISTS' WORKS SELECTED FOR CITY'S FINE ART COLLECTION.